The days of speculation around the future of David Miliband, following the narrow defeat by his brother in the Labour Leadership election, must surely have done enough to convince any watcher of the party’s internal warfare that his decision to step back from frontline politics is the right one. Ed has been making all the right noises, talking about how he desperately wants David to be in his Shadow Cabinet and so on, but it has become abundantly clear that the leadership contest has done lasting damage to the relationship of the two brothers. This is hardly difficult to understand. David must have assumed that the leadership was his for the taking, having been the favourite for so long, only to have the prize snatched from him at the very end by his own brother. His disappointment and the resentment of those around him is perhaps an understandable human emotion but there does seem to be more than a touch of the ‘Michael Portillos’ about his failed bid. Miliband, like Portillo in the John Major government, had an opportunity to topple Gordon Brown at the depths of his unpopularity but chose instead to sit tight and wait. Both men missed their best chance and ended up as hugely disappointed bridesmaids. 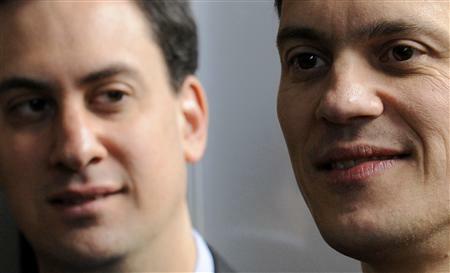 Ed Miliband, for his part, should feel no guilt for standing in the same contest as his brother. He had every right to put himself forward for the leadership and can point to the result – in spite of Labour’s bizarre electoral college system – as justification for his boldness. Perhaps in time his older brother will come to terms with it, but for now the emotions are probably just too raw. David’s simmering resentment was clearly demonstrated by his unguarded remarks to Harriet Harman during the new Leader’s speech this week (towards the end of the clip below) and there can be no doubt that, if he had accepted the rumoured offer of Shadow Chancellor, a less-than-friendly media would have had years of fun highlighting divisions between the two brothers, whether real or imagined. After sixteen years of warfare between the Blair and Brown camps, the last thing Labour needed was two new faces to carry the civil war into the future. 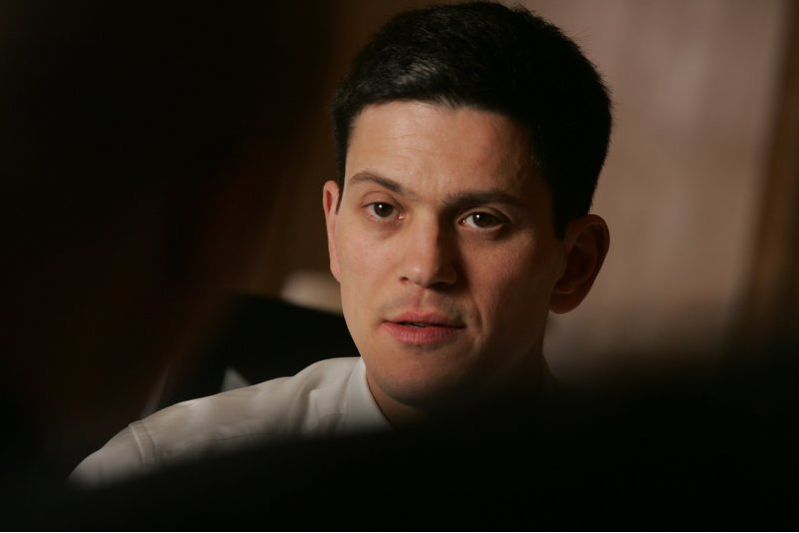 David Miliband has done the smart thing for himself, his brother and his party and, although much will be made of it in the news over the coming days, the discomfort of such scrutiny will be nothing compared to the long-term dysfunctionality which would surely have been unleashed had he stayed within Ed’s shiny new tent. 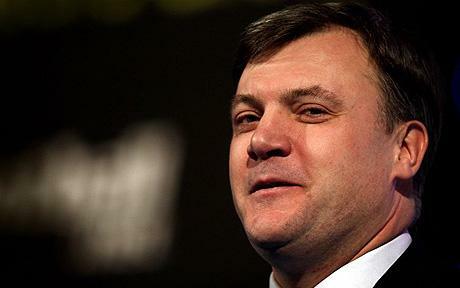 Ed Balls: dishonest or delusional? Ed Balls is right. As he wrote on Thursday, an increase in VAT would be unfair to the poorest and damaging to jobs and the economy, and the coalition will be making a big mistake if George Osborne’s budget includes such an increase. 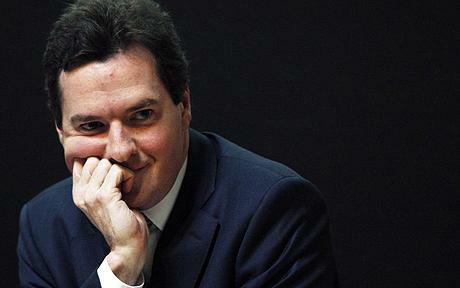 Balls has said, in an email to Labour Party members, that “Raising VAT is hugely unfair. The VAT rise will hit the poorest households harder than the richest and will hit pensioner couples and ordinary families hardest of all. It is simply not right.” His parliamentary question, tabled ahead of the Budget, asking for the distributional impact of a VAT rise is a smart political move which gets to the very heart of why VAT is wrong, and his stance on this issue has helped to set him aside from the other candidates in the Labour leadership contest. But does he honestly think that if his great mentor, Gordon Brown had won the General Election Labour would not have increased VAT? Ever since 1992 Labour have been terrified of increasing the headline rate of Income Tax – clearly the fairest way of raising revenue – and all the evasions during the election campaign clearly pointed to a VAT hike as their preferred tool for dealing with part of the deficit. Yes, Alistair Darling – rightly – increased the top rate to 50% in his 2009 Budget, but this can clearly be seen as the act of a dying government which had suddenly found a lost reserve of courage. It certainly wasn’t a typical example of the New Labour approach to fiscal policy. Balls’ posturing on VAT is of course naked opportunism, designed to bolster his bid for the Labour leadership, and I can’t blame him for that. The party’s leadership contest has yet to burst into life and hasn’t come anywhere close to engaging the wider public. Perhaps Balls has found an issue which can resonate with many who are sceptical at best about Osborne’s “we’re all in this together” nonsense. None of that changes the fact that VAT is a thoroughly regressive tax and that it will be a particularly appalling day for the coalition (and in particular the Lib Dems) if Osborne is allowed to push through a hike. But had Labour pulled off the impossible and won the General Election they would certainly have increased VAT – no question about it. As Balls himself admits, all of their campaign rhetoric pointed in this direction. For him to claim now that there would have been any other outcome demonstrates that he is either plainly dishonest or deeply delusional. With the entry of Diane Abbott into the Labour leadership race, the choice before party members suddenly appears to be a wider and more diverse one than before – the other declared names are David Miliband, Ed Miliband, Ed Balls, John McDonnell and Andy Burnham. The fact that there is a contest at all makes this a more different scenario from the 2007 ‘shoo-in’ of Gordon Brown, and Abbott’s candidacy brings a welcome shot of diversity to the equation. All credit to Labour for that but, realistically, the chances are that the next leader of their party is going to be called either ‘Ed’ or ‘Miliband’ or both, thus conforming to the current major party trend of electing a fresh-faced (perhaps not in Balls’ case) forty-something white male leader, with a full head of hair and an easy television manner. This is perhaps Tony Blair’s most lasting legacy to the political landscape of Britain. When John Smith died so suddenly in 1994 politics was a very different place to the ‘New Politics’ of 2010. It was a post-Thatcher world where John Major had played the ‘safe pair of hands’ card and won the 1992 General Election in the process, Smith had used his substance and intellect to win the Labour leadership, and the fledgling Lib Dems were headed by the flamboyant Paddy Ashdown. 1994 changed everything. While most of the outside world assumed Gordon Brown would be next in line, Peter Mandelson and the New Labour Focus-Groupies had other ideas. Tony Blair won the – post-Granita – leadership election by a landslide (as a member of the party at that time, I must confess that I voted for him) and things were never the same again. 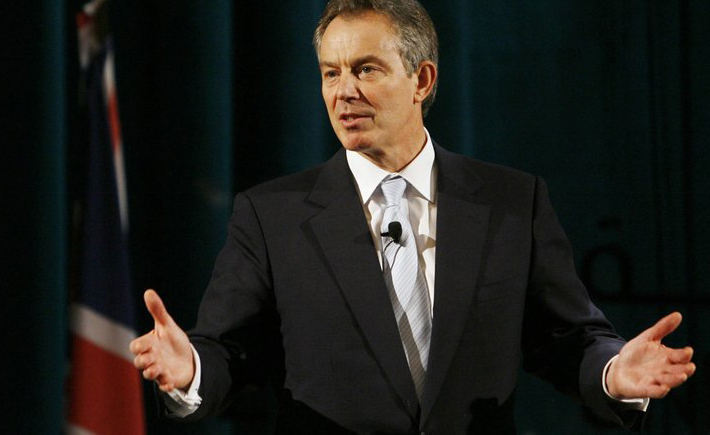 Blair was fresh-faced, energetic and non-threatening to Middle England. He looked like the sort of chap your average ‘soft Tory’ would be happy for their daughter to bring home. In policy terms, the programme was so light there was very little risk in ‘giving the guy a chance’, and the staged battle over Clause Four showed a man very much in charge of, what had previously seemed, an unleadable party. An historic landslide victory at the 1997 General Election confirmed the new leadership model as a winner. There have been numerous exceptions to this trend of ‘natural’ selection, of course: William Hague, Iain Duncan Smith & Michael Howard for the Tories, Ming Campbell for the Lib Dems, and indeed, Gordon Brown for the Labour Party. Unfortunately the one common strand between these party leaders is that they were all deemed to be failures. Contrast their fortunes with those of David Cameron, Nick Clegg and the Daddy of them all, Tony Blair, and it starts to look like there really is a winning formula for the selection of a leader: as long as the policies (where they exist) don’t frighten the horses, go for the young-looking guy with the nice suit. I’m not saying that any of these men are idiots. To lead a major political party you need intelligence, determination and an extremely thick skin, and all the successful leaders have had these qualities in abundance. Indeed, I’ve often thought that history will be kinder to Tony Blair than any of his contemporaries were. I believe that, despite his many policy failures, he will come to be seen as the great politician of his era, a communicator without equal in the early part of the 21st century. I just think that there may well be women, ethnic minority politicians and people over 60 who have all of these qualities and more. Will a woman lead a major political party again any time soon? Will the job fall to anyone over 60? Will the chances of any baldies (like me) be forever ruined by association with Hague, Duncan Smith and Kinnock? And what chance have we of following America’s inspirational presidential lead and electing a black Prime Minister? The ‘New Politics’ is all very well, but perhaps there are still a few things to be learned from the old. Details have been published today of the coalition agreement reached between the Conservatives and the Liberal Democrats. In short this looks (on paper at least) to be an arrangement which should lead to a stable five-year government with an agenda that represents a good mixture of the two policy positions. I can’t deny that I’ve done an awful lot of soul-searching over the last twenty-four hours or so. Regular visitors to this site will know that I have no great love for the Tories, and the prospect of putting together a deal with them was something I was instinctively, viscerally opposed to. My natural inclination would have always been to seek an arrangement with parliamentary parties ‘of the left’, but the stark electoral arithmetic (not to mention Labour’s understandable reluctance to stay in government) meant that this was always merely an outside possibility. 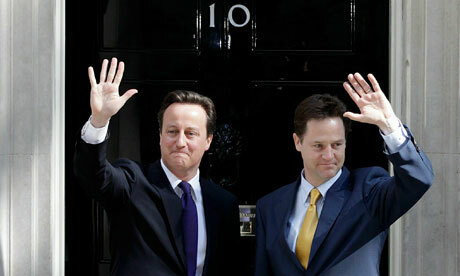 With a “Progressive Alliance” effectively ruled out there were then only two options left to the Lib Dems. Firstly, they had the choice of doing a deal with no one, thereby allowing a minority Tory administration to be formed. This would hardly have been an advertisement for the Lib Dem commitment to stable government. After years of campaigning for a ‘balanced’ parliament, how ridiculous would Nick Clegg have looked if his party had backed out when the golden opportunity finally arose? The other drawback would have been the likelihood of David Cameron seeking a second General Election within a matter of months. Only the Tories would have been well-resourced enough to be able to afford this, and a majority Conservative government by the end of the year would have had no reason to take on board many of the Lib Dem policy objectives that now form part of the programme of government. The only realistic option left was to form a coalition government with the only party that had enough seats to make the arrangement work: the Conservatives. There are many bitter pills to be swallowed (Cameron in Number Ten, Tory policies on Europe, Trident and immigration, and George Osborne anywhere near government) but there are also many areas where Liberal Democrats can be happy with what has occurred. A principled, though theoretical, place in opposition would not have delivered the fairer tax agenda, banking reform, a real advance on environmental issues, fixed-term parliaments and at least the start of political reform. Nor would we have had the chance to have Liberal Democrats in government, making decisions. In an ideal world I would prefer there to be no Tories in government, but the electorate delivered their verdict and the politicians now have a duty to behave responsibly and get on with it. I fully respect Labour’s decision to take to the Opposition benches – they will come back stronger for rest and renewal – and I believe that there is much they can be proud of from their thirteen-year period in office. I am also encouraged by the Conservatives’ willingness to listen and compromise (even if it’ll be a long time before I trust them). The next five years will not be easy for either of the coalition partners, but I take the view that it is better to have Liberal Democrats in the government than in the opposition. Perhaps this is the start of a different way of doing things. 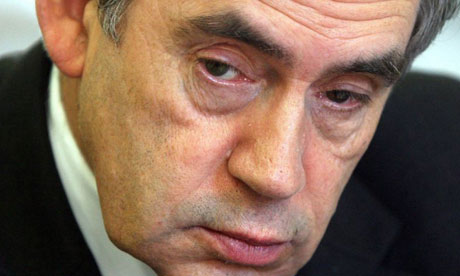 Judging from the invective-specialists in the press and the comments of a number of the more strident people I come across, it would appear that I’m one of the few non-Labour people who doesn’t feel a little bit of sick rise whenever Gordon Brown’s name is mentioned. I happen to think that he is an individual of no small intellect, and I applaud many of the difficult decisions he took on the economy when the banking crisis hit (regardless of where one thinks the blame for that state of affairs should be apportioned). I tend to think that Brown has been treated rather poorly by the media, the Conservatives and even some within his own party over the past two or three years. But the sad fact is that the only thing that can save us from the Tories now is if he goes, and goes quickly. The first thing to say is that Gordon Brown’s observation of the constitutional position, largely unwritten as it is, has been impeccable. He has provided stability in the uncertain days following Thursday’s election and given Civil Service support to other political parties as they attempt to thrash out a deal to replace him. But he and his advisers must surely come to recognise that the only clear message the electorate gave on Thursday was that they weren’t really sure who should be running the country, but they knew it shouldn’t be Gordon Brown. Because the Labour Party is not the Tory Party, and ruthlessly butchering their leaders is not their preferred way of responding to electoral setbacks, there have so far only been three backbench Labour MPs willing to go on record and call for Brown to go. Perhaps the others know something we don’t. Perhaps a succession plan is in place and Gordon will go of his own volition within the next day or two. But the longer he stays, the longer Labour will be excluded from coalition talks with the other parties, and the more distant the prospect of a “Progressive Alliance” will become. Brown is the stumbling block that currently makes the Tories look like the only show in town. His alleged angry phone rant at Nick Clegg the other night is probably neither here nor there, the real problem for Clegg is Brown’s electoral toxicity. 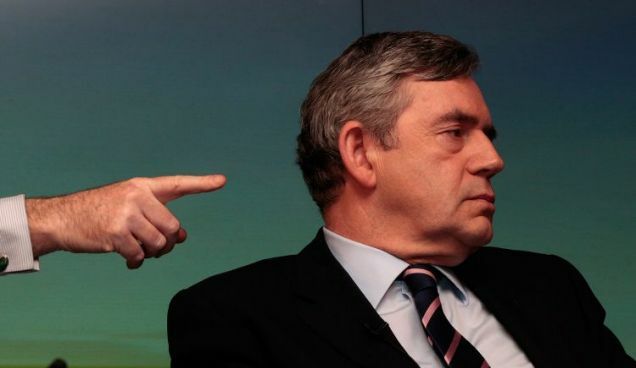 The Lib Dem Leader knows full well that if he comes to any kind of arrangement with Gordon Brown a bit of the Prime Minister’s three-year bad luck curse is likely to rub off on him. I don’t know how realistic the speculation about a “Progressive Alliance” is (a minority Conservative administration still looks most likely when the Tory and Lib Dem negotiators realise with horror what their counterparts are actually supposed to believe in) but I know it has no chance at all as long as Brown is the man at the top. It may be that Labour would simply prefer to go into Opposition and rebuild while the Tories are doing all the nasty stuff. But if they do want to stay engaged and be part of what could be one of the great reforming eras in British political history then Gordon will have to go. 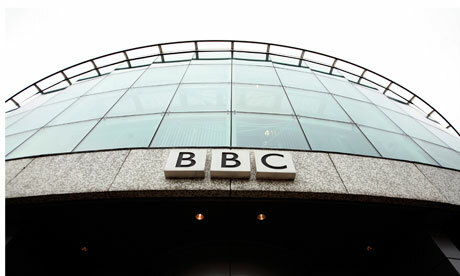 David Miliband, his brother Ed, Alan Johnson, Harriet Harman – all of these are names thrown about as a successor. Labour’s choice of Leader is none of my business, but some sort of change will be necessary if they genuinely want to rescue that last, faint hope of genuine reform, as opposed to the ushering in of a new age of intolerance (whether moderated by the Lib Dems or not) if the Tories grasp power once again. So I hope that Gordon Brown is making the most of a quiet weekend with his family, and that he will reflect on his options and decide to leave now, on his own terms. The longer he stays the harder it will be for parliament to grab the once-in-a-generation opportunity that lies before it. The electorate have spoken. In spite of the worst efforts of Britain’s right-wing press, the 2010 General Election has resulted in a hung parliament with David Cameron’s Conservatives winning the most seats (306) and the largest share of the vote (36%). Neither of these numbers represents anything like a clear mandate to govern, but equally Labour’s position has weakened considerably due to an exodus of support and the Liberal Democrats have not made the breakthrough many expected. Given the arithmetic thrown up by Thursday’s results, it’s difficult to do anything other than sit on the fence when it comes to predicting how this will all pan out, but one thing seems clear – Gordon Brown is surely finished. If Cameron’s wining and dining of Clegg comes to nothing, there would have to be a highly complex series of negotiations between around half a dozen parties to form the “progressive alliance” which would keep Labour in government. It would seem inconceivable that these parties could support Brown as Prime Minister given the clear rejection he has just received at the polls. If Labour were able to quickly and ‘cleanly’ replace their leader such a deal may have legs, but the permutations still appear painful and the nationalists’ demands may prove a step too far. On paper a Tory/Lib Dem arrangement looks more likely. Between them they could command a comfortable majority in the House of Commons without needing to strike deals with nationalists or Northern Ireland parties. There are even areas where they could find policy convergence (ID cards for example), but there would also need to be painful compromises over massively divergent policy positions on issues such as Europe, immigration, taxation and spending cuts. Would it all be worth it for proportional representation? I firmly believe that electoral reform is a vital change but I’m also prepared to accept that it is one that should be won by virtue of argument, rather than the surrender of principle to a Conservative Party not exactly cherished among the Lib Dem grassroots. Electoral reform will be the reason a Tory/Lib Dem coalition will (probably) not happen so perhaps that’ll put an end to all this talk and everyone’s blushes will be spared. The Tories are instinctively opposed to a fair voting system, but it’s difficult to see how the Lib Dems would benefit from climbing into bed with Cameron if they don’t get PR. The temptation for the Lib Dems to accept Cabinet posts is totally understandable. As Michael Portillo pointed out on Newsnight on Friday, the increased profile of government would give them a terrific opportunity to demonstrate they can run things, particularly on the back of the most eye-catching of the three major parties’ recent election campaigns, but principle must be the most important consideration. I have to be honest, any kind of arrangement with the Tories is not something I want to see. I’m firmly of the belief that the Conservative ‘philosophy’ (such as it is) is selfish, socially destructive and fundamentally malign. Could the Liberal Democrats moderate a Cameron government by working alongside it? I doubt it. Once a deal is done, while concessions may be agreed, there is no doubt who the dominant coalition partner would (and should) be. Personally I would prefer the “progressive alliance” option, but I think there are too many obstacles in its way. I expect the end result of all of this to be a minority Conservative government for the simple reason that the alternatives are too complex and uncertain, and as a result you can probably expect another General Election within a year.